Beautiful day to be out today to be metal detecting. I spent a couple hours at the old school. I dug 20-30 targets and finally came up with my first silver coin!! 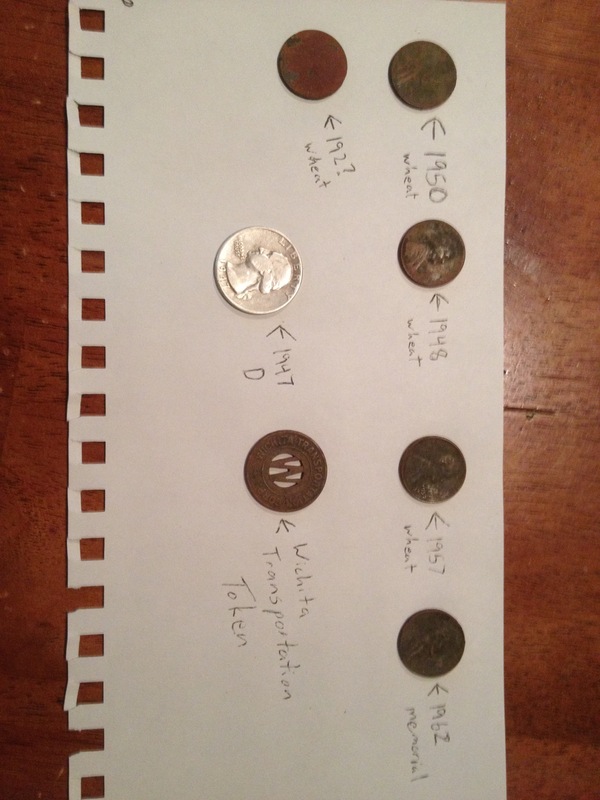 I also dug several wheats a couple old headstamps, and a Wichita transportation token. Here is a pic of todays finds. Previous Post Sounds so goood!! !